This super healthy variation on an old classic is sure to be an instant hit at your next dinner party or casual get-together. Deviled eggs are a fan favorite and are relatively simple to make, the hard part is keeping them on the plate. By adding in a simple guacamole mix, you will take the deviled egg to a new level and blow your guests away with a deliciously addictive healthy snack. Cut the hard boiled eggs in half and remove their yolks. Put half of the egg yolks in a bowl with the avocados and mash with a fork. Keep the other 4 egg yolks for something else. *Keep a bit of cilantro for garnish. 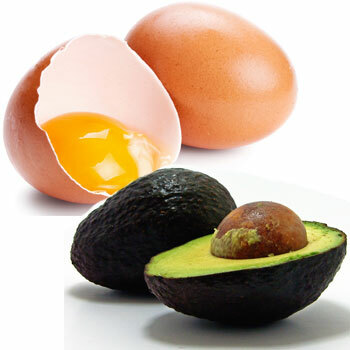 Eggs and avocados are touted as some of the healthiest foods we should be eating everyday. With plenty of healthy fats and amino acids, these fantastic foods help promote brain health and a healthy immune function. This spicy guacamole deviled eggs recipe is as delicious as it is healthy, it will certainly make its way into your go-to favorites. Kids will love this fun take on deviled eggs, especially if they are fans of Dr.Seuss’ Green Eggs and Ham.